Sam at Zest it Up is the creative mind behind this colorful mosaic bird bath that puts old CDs to good use. If you’re a member of the MP3 generation, you’ll find an ample supply of CDs at your local thrift shop (or you already have them sitting in a dusty corner of your home). 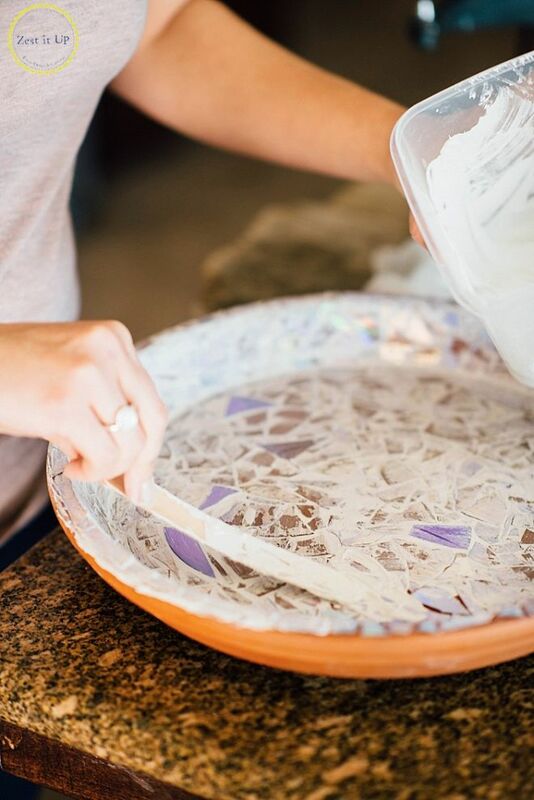 Besides the obvious beauty, a DIY birdbath has a lot to offer. For example, attracting birds to the garden is one of the best ways to keep the mosquito and aphid populations under control, according to University of Nebraska Newsroom. More importantly, birds need water to survive, and a helping hand is always appreciated, says Cornell Lab of Ornithology. 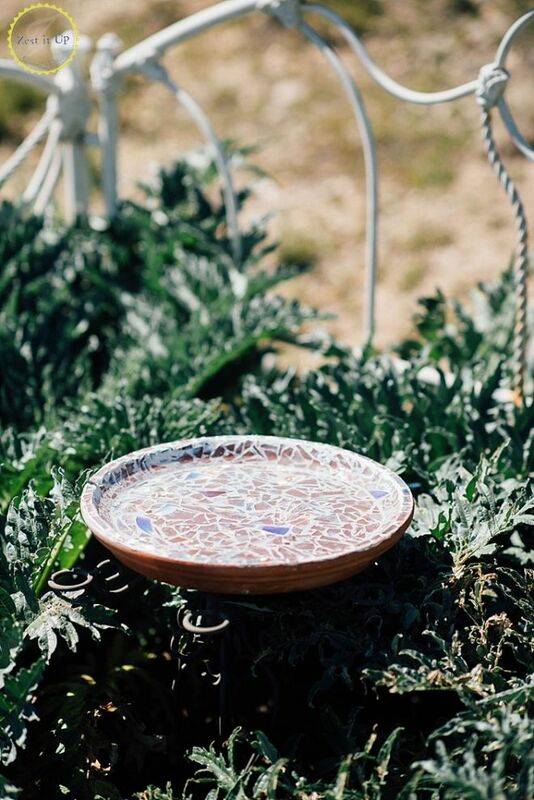 Your mosaic birdbath begins with a large plant saucer. Terracotta and terracotta look-alike saucers are reasonably priced and easy to find at garden centers or big-box home improvement stores. Keep in mind that CDs snap when you break them and the pieces are likely to fly everywhere. 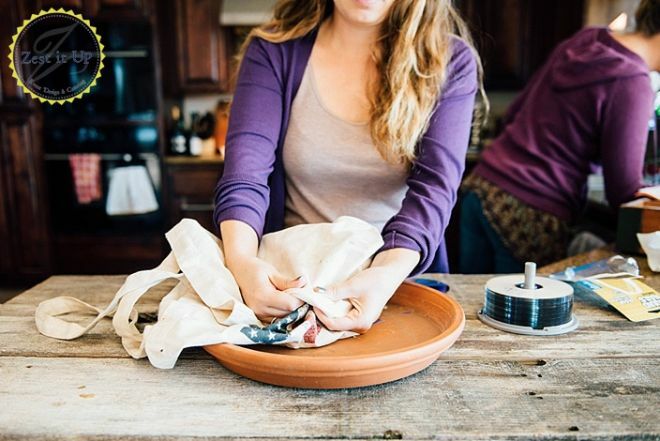 To protect your hands (and your eyes), put the CDs in a canvas bag first. 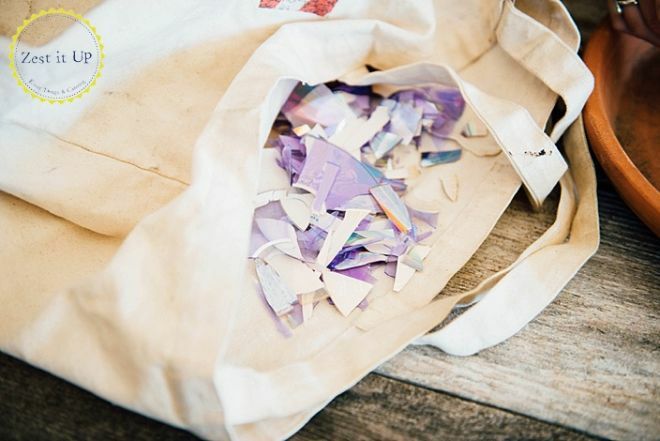 Then, if the broken pieces are too large, use a pair of scissors to cut them into smaller or more interesting shapes. 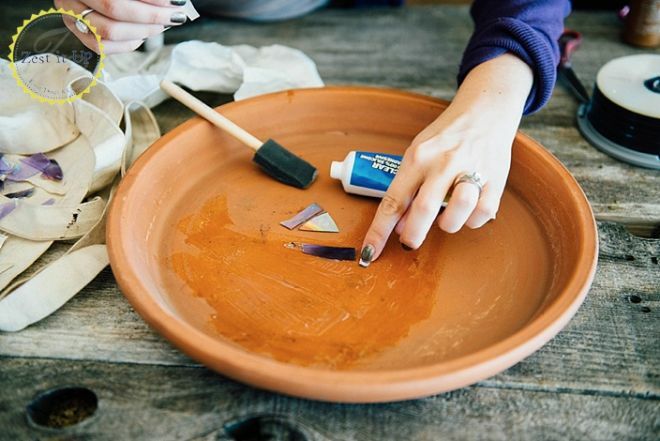 Break several CDs and choose the pieces that work best in your mosaic. 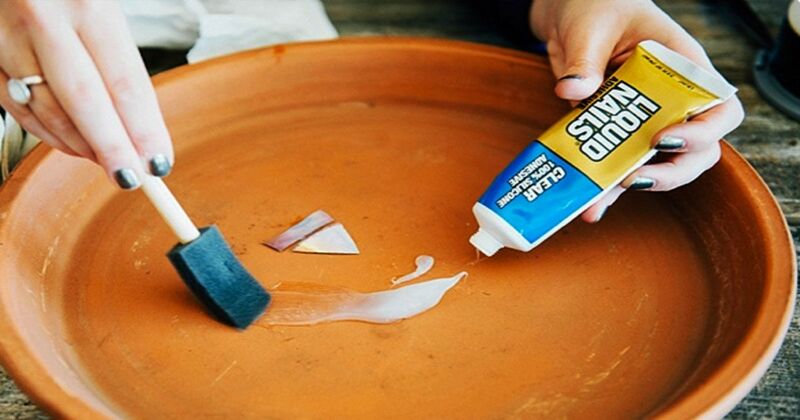 Wipe the saucer with a clean cloth to remove dust and debris, then spread a thin, even layer of heavy-duty adhesive with a sponge paintbrush. Apply adhesive to only a small section of the saucer at a time. Otherwise, the adhesive may set up before you've arranged the CD pieces to your liking. An area you can complete in five minutes is just right. This is the time to get creative with different shapes and sizes as your arrange the pieces. Use both sides of the CDs because one side is shiny and the other is somewhat iridescent. When the pieces are in place, set the saucer aside and let the glue cure for at least a couple of days. 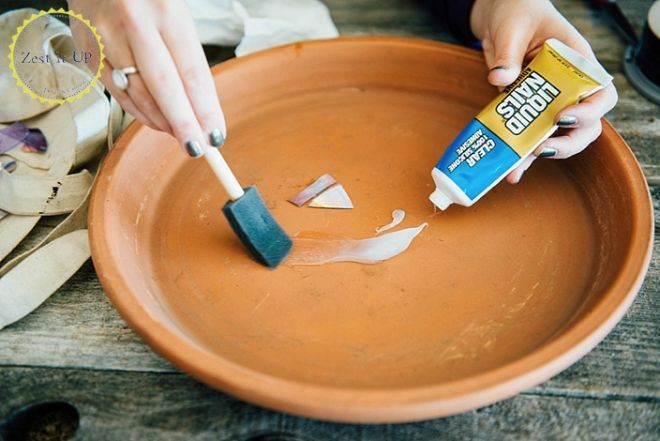 Mix a small amount of grout and press it into the gaps between the CD pieces. A wooden Popsicle stick is just the thing for this task. Allow the grout to dry according to the recommendations on the package. 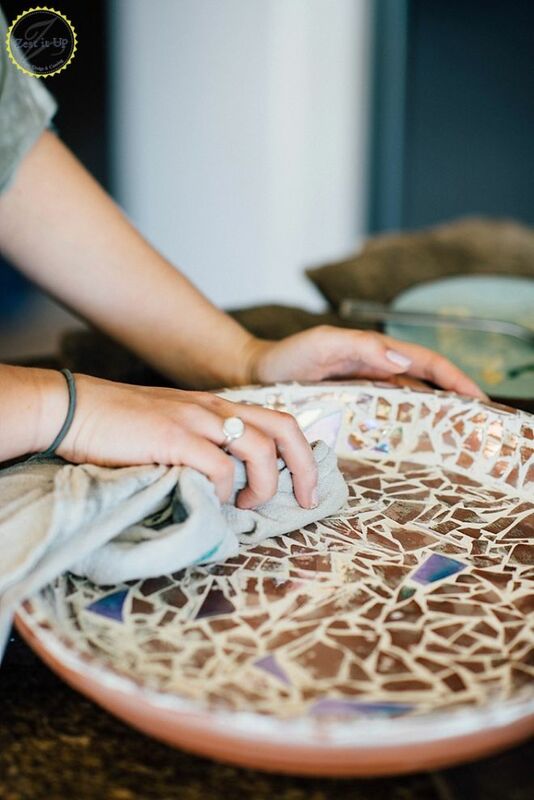 Wipe the mosaic with a soft cloth to remove the film left over from the grout. Use a light touch to preserve the shiny appearance of the CDs. A sturdy plant stand makes a great base for the birdbath, but you may have other creative ideas that work equally as well. At this point, your mosaic bird bath is ready to welcome feathered visitors. Want to SHARE this awesome idea? Please do!